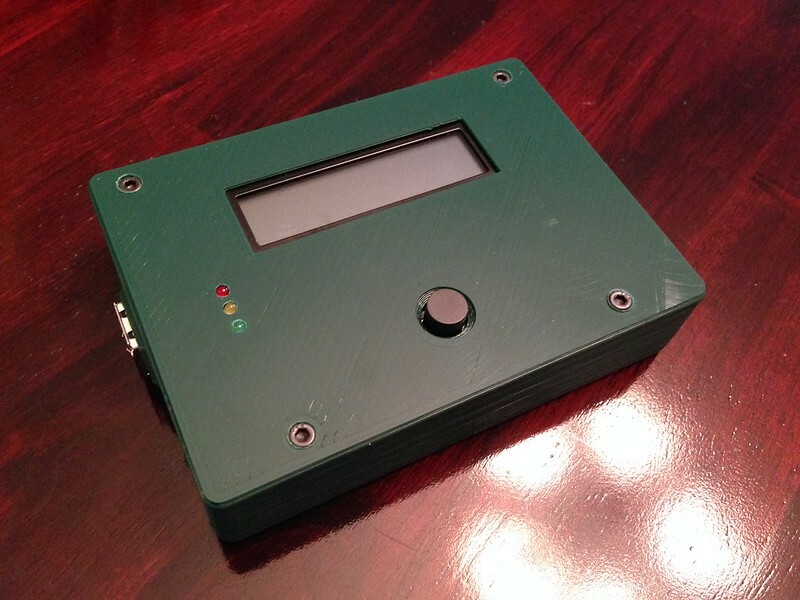 Here is the newest release of the Heatermeter 3D printed case to complement the 4.2.4 boards. We've tried to push the design forward to parallel some of the tremendous progress that Bryan has made with the new boards. This case went through many behind the scenes revisions and we must thank Bryan for all of his help with protoype testing as well as John Bostwick for his feedback. 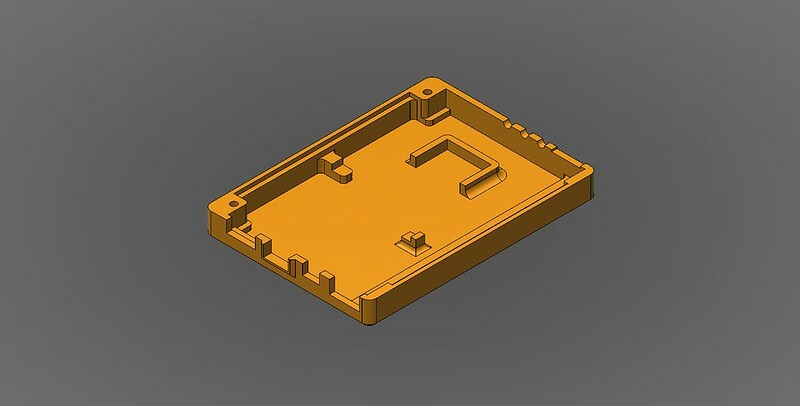 This case is by far the most form fitting that we've designed and were able to coordinate a couple of screws that pass directly through the HM board allowing us to significantly reduce the dimensions. We were also able to shave a good 25% off of the height with this case now measuring only 29 mm. 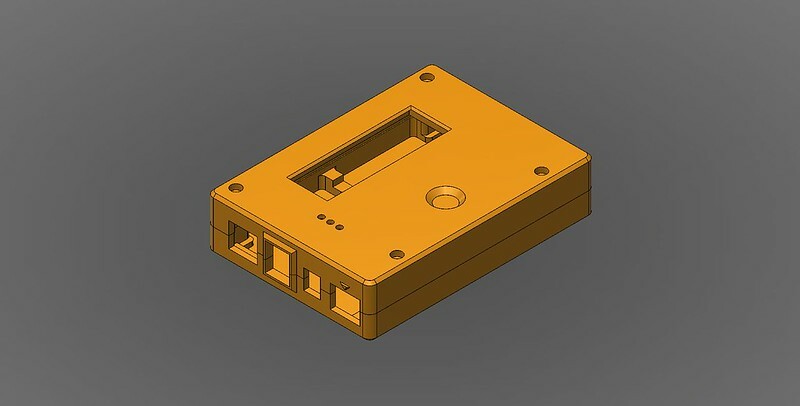 This means that the case now uses M3 x 25 mm screws. ...and the servo/fan jack is marked with a triangle to try and prevent accidental plugging into the Rpi LAN connection. The bottom of the case features an SD card support so that there are no accidental disconnections when dropping the device. The new LCD mount is designed so that the LCD press fits into the top of the case and is surrounded by a chamferred bezel that leaves a slight amount of the natural LCD bezel visible, creating a little extra contrast in the case. Supports were also added in various bare spots over the board for added stability (thanks John!). We hope you all enjoy the new version and will update this thread with revisions as we make them. The thermocouple RpiB version files have been posted and will soon be followed by an all thermistor probe and RpiA versions. 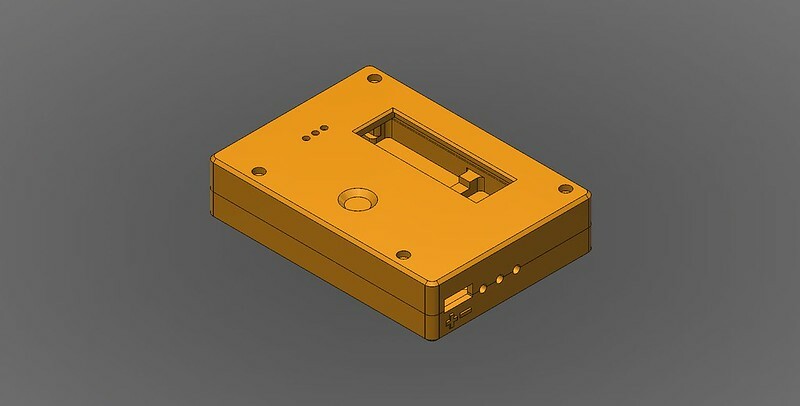 The source files were created in autodesk Inventor fusion and can be found here. If you don't have a 3D printer you can PM me to have one printed. Available colors are: black, red, silver, orange, blue, or green. The current price is $25 + $5 shipping. This case requires that the rca jack on the rpi be removed so that the boards come into maximum contact. 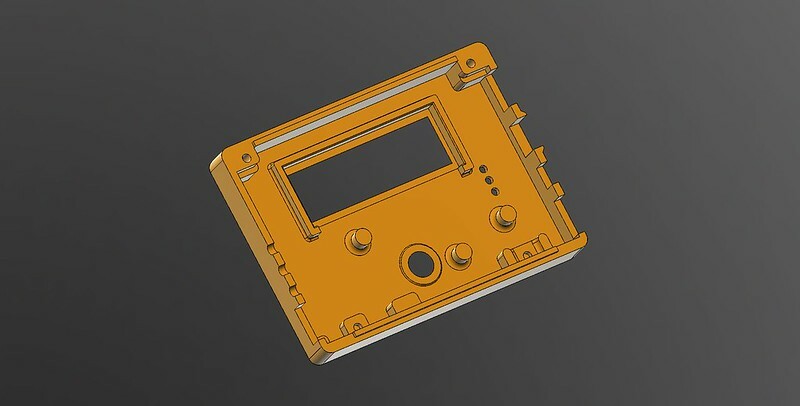 The unit of measure for the .stl files is in mm and the LEDs should be mounted so that the top of the LEDs are positioned about 1mm above the top of the LCD. Note from Moderator: I support the sale of HeaterMeter cases as a way to help support this cool DIY project, with the understanding that it's a grassroots, community-based service and not for profit. I consider it an exception to the TVWBB Terms of Service that prohibits members from promoting, soliciting or selling on behalf of their own business, product, blog, website, event, etc. Last edited by Tom Kole; 12-15-2014 at 10:22 AM. I will convert these to solid work files later this week. Tom, will there also be a non thermocouple version? Yup, I will be posting them soon. Thermistor probe and raspberrypi A versions are now up. Is there a 4-line display version? If I ordered one, what is the general turn around time? I usually only make 4-line models when people specifically request it because there doesn't seem to be a large demand for it.